Our amazing hand loomed Alpaca Loom Beanies are crafted from blend of beautiful soft Alpaca Boucle and 4 ply fibre for warmth, comfort and durability. These stylish beanies come in a wide range of colours and are available in 2 sizes (kids/adults). 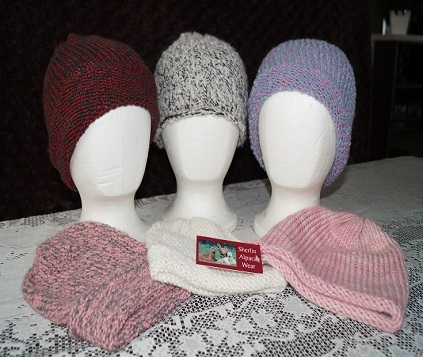 We are happy to make our Alpaca Loom Beanies to order.